Château Puy Castéra, in stark contrast to many other Bordeaux wine producers, does not have a centuries old tradition of winemaking history. 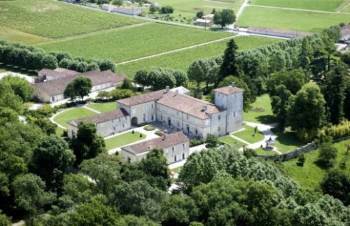 Having only been established in 1973 by Henri Marès, and developed with the advice and co-operation of the famous Bordeaux oenologist M. Emile Peynaud, this 28 hectare estate, situated between the two famous wine communes of Pauillac and Saint-Estèphe close to the small town of Cissac-Médoc, achieved the remarkable feat of winning the Haut-Médoc Cru Bourgeois classification in just five years. The name itself originates from an old French word "Puy", meaning a mound, and the Latin derived "Castéra" (from castrum) denoting a fortress encampment. The site of Château Puy Castéra is a small sun-drenched hill that was formerly the location of a fortified Roman camp. 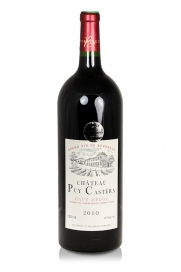 Since 2002 Château Puy Castéra has been run by Henri's daughter Alix Marès who is a qualified agronomic engineer, a field which encompasses soil science, plant genetics and physiology as well as agro-ecology. 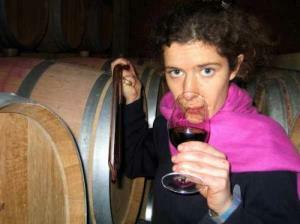 Alix's studies have encouraged her to lead the viticulture of Château Puy Castéra in a more ecologically-conscious direction with the application of intelligent pest control which focuses on environmentally-friendly, preventive solutions and also with a great deal of respect and care for the soil. 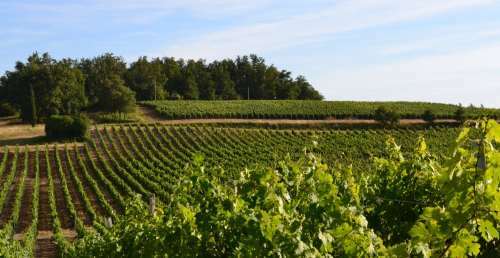 Quality-driven winemakers always say that it is in the vineyard where first principles must be adhered to in order to achieve the best results possible from the terroir available. Puy Castéra is planted with Red Bordeaux Blend grapes in the proportion 57% Cabernet Sauvignon, 30% Merlot, 10% Cabernet Franc, 2% Malbec and 1% Petit Verdot grape varieties and a programme of soil mapping has revealed the best sites for each particular grape variety. 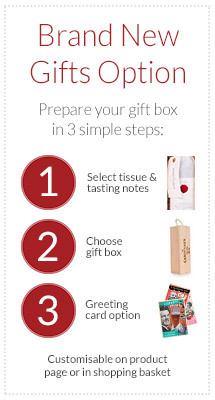 The relatively high proportion of Cabernet contributes backbone to the wine which enables a good ageing potential. During the creation of the estate particular attention was paid to the wine-making advice of Emile Peynaud and consequently a completely gravity-fed system was installed to minimise the effects of too much bruising of the grapes caused during handling. This system is followed from the moment that the grapes reach the winery right up until the wine is poured into barrels for the twelve month period of maturation. On arrival at the winery the grapes are fermented in temperature-controlled stainless-steel tanks with the skins being pumped-over twice daily for optimum extraction of colour and tannins. In the spring following the harvest the wine undergoes a two to four week malo-lactic fermentation in concrete tanks before spending the next year in French oak barrels a quarter of which are new. These days the consultant oenologist is Jacques Boissenot who is extremely well-respected in the Bordeaux region and who has worked with some top châteaux including Margaux, Mouton-Rothschild and Palmer. In the twelve years since Alix took over the running of the estate critics agree that the wine has gradually achieved a greater degree of elegance and finesse coupled with an individuality of character that Cru Bourgeois Bordeaux reds sometimes lack. The fine tannins present in this Cabernet Sauvignon dominated blend provide the framework upon which the fruit is allowed to shine. This red Bordeaux, or claret as it's often referred to in the UK, displays a deep but bright ruby colour when fairly young and has a fine, fruity nose with blackcurrant and cherry fruit predominant together with notes of cedar wood. Tasters point to blackcurrant, plums and dark chocolate on the palate with a good length finish. 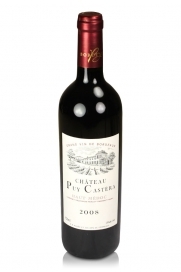 Château Puy Castéra is a wine that doesn't demand a long period of ageing before being ready to drink within a few years of the vintage although good vintages will mature well for several years if cellared correctly. An ideal wine to drink with roast meats, lamb dishes, a good steak or to enjoy with mature, hard cheeses such as an English Cheddar or a Dutch Gouda. 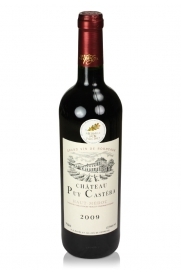 Château Puy Castera is a cru bourgeois estate in the Haut-Médoc that produces a delicious and charming red Bordeaux wine at a very good price.